Below are some of your muffin tin's super powers you never knew existed. Even if you're not a baker, jack Mom's muffin tin and get cookin'. 1. Slice up the strawberries and add to blender. 2. Add the honey to the blender. 4. In a separate bowl, whisk together the peanut butter, vanilla and evaporated milk until smooth. 5. 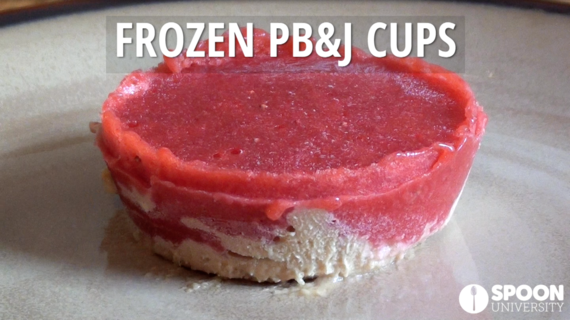 Pour the peanut butter mixture in a muffin tin and top with the strawberry puree. 6. 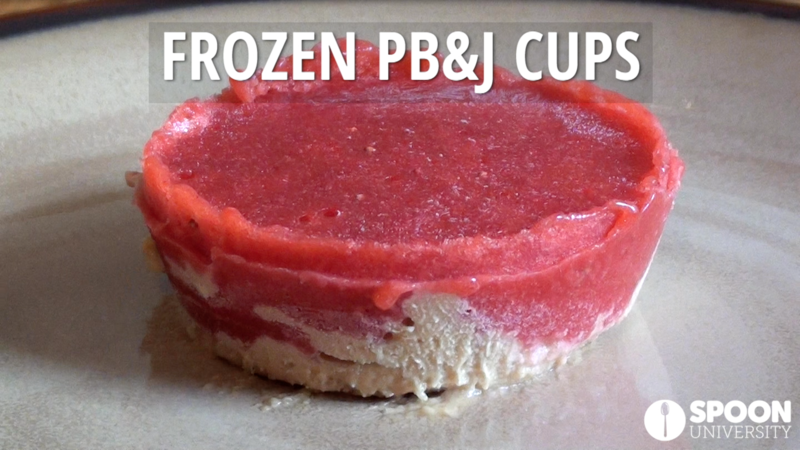 Freeze for about 4 hours. 1. Add any condiments of your choosing to a muffin tin. 2. Serve with your meal and give everyone easy access to condiments. Original post by Robert Arrasate for Spoon University.